Mediation | Law Offices of Steve W. Marsee, P.A. 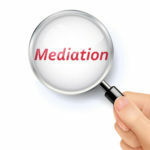 How to Prepare for Your Divorce Mediation? Divorce Without Court Through Mediation – Is It Right For You?